When the Gucci slides first launched a year or two ago, I had a feeling that the look would stick around. At the time I was on the fence about the trend, but as more brands put out different styles and colors I have come to really love the look. I invested in quite a few for the summer and find them to be so comfortable (this pair and this pair are on regular rotation) and in certain cases give the illusion of an elongated leg (my short legs need all the help they can get). I began seeing more styles pop up for fall over the past few weeks, but when I went to compile this round-up I was shocked at just how many there were available now. And at every price point and style imaginable! To be honest, there are a ton that really look frumpy and unappealing, so I went through a bunch of different retailer sites to find the ones that looked like they would be the most flattering and stylish. Now all that is left is to decide which of them I need to get myself! 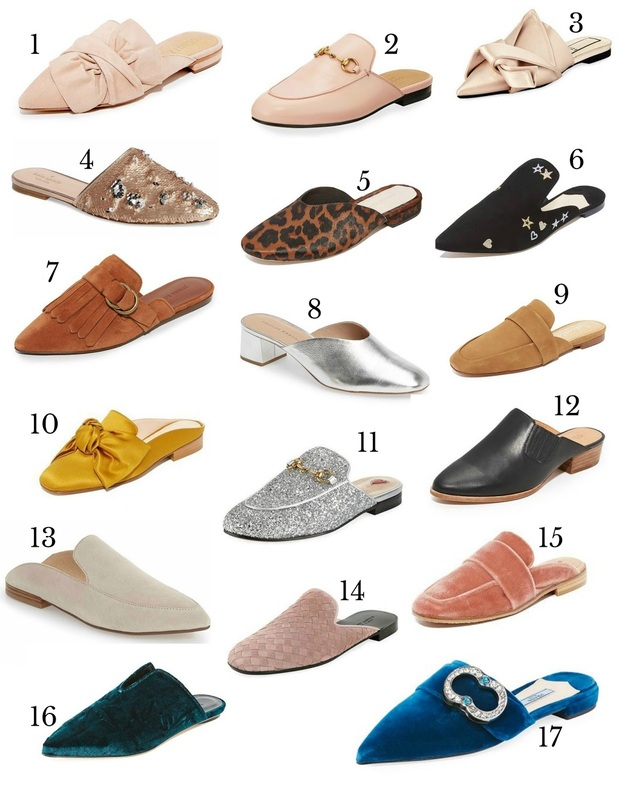 If I had to pick out my top 3 favorites, the first one would be the Splendid mules which are a great price but have a classic shape that can be worn with anything. Next I still think the Gucci mules are a great investment, and my final pick would be these Jenni Kayne ones.